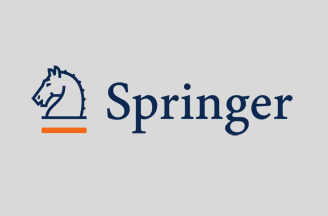 As of January 2013 Springer will publish the Journal of Arid Land, the official publication of the Xinjiang Institute of Ecology and Geography, part of the Chinese Academy of Sciences (CAS). The quarterly peer-reviewed journal joins Springer’s Chinese Library of Science, a collection of more than 90 high-quality research journals from China. The journal is co-sponsored by the Xinjiang Institute of Ecology and Geography and the CAS. Starting with Volume 5, Issue 1, the Journal of Arid Land will be published jointly by Springer and Science Press. Launched in 2009 and indexed by Science Citation Information Expanded (SCIE) in 2011, the Journal of Arid Land provides a platform for high-quality research papers from all over the world in the fields of geography, geology, pedology, hydrology, biology, ecology and meteorology in arid and semiarid regions. It publishes articles on the interactions between the atmosphere, hydrosphere, biosphere, and lithosphere with a special focus on ecological improvement and protection of the environment.